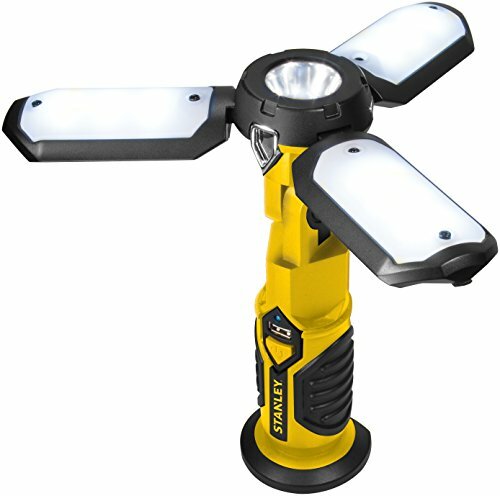 The STANLEY SAT3S is compact rechargeable satellite work light. 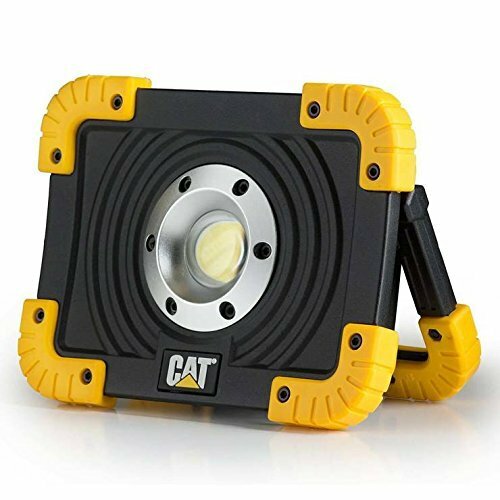 This ultra-bright LED delivers up to 300 lumens with 18 ultra-bright LEDs; allowing you to illuminate even the darkest of work areas, whether at home, in a vehicle, camping, or during a roadside emergency or power outage. 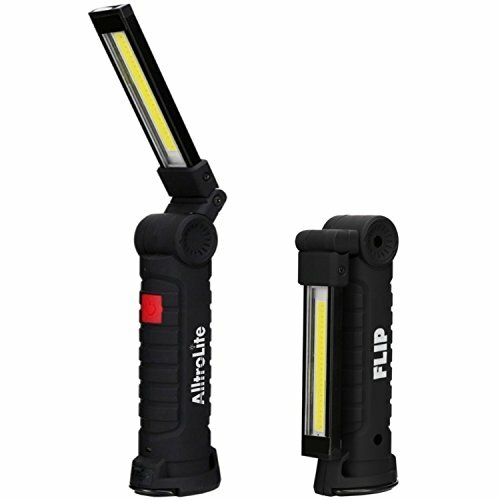 Features 3 panels that fold and pivot to give off light where needed so you can spread out to desired area or fold down to use as a flashlight. 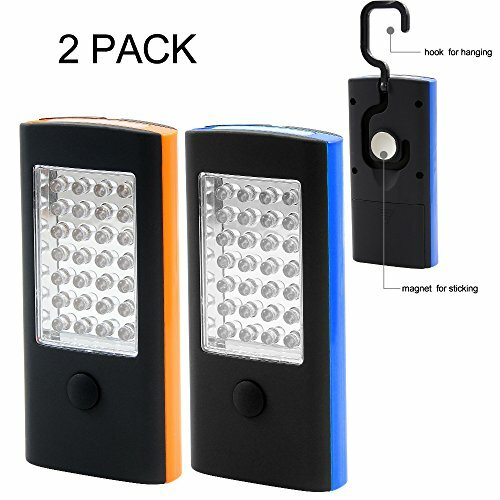 Includes 5 different modes of lighting: high, low, area (3 light panels only), all (uses all LEDs), or flashing. With a runtime of up to 6 hours, the Lithium Ion battery stays charged for up to 12 months without recharging. This spotlight includes 3 ways to charge using the two-way USB port, 12 volt DC charging adapter, or 120 volt AC charging adapter; all capable of also acting as a portable power station with a USB port for small electronics such as a cell phone, laptop, tablet, or other electronic device. 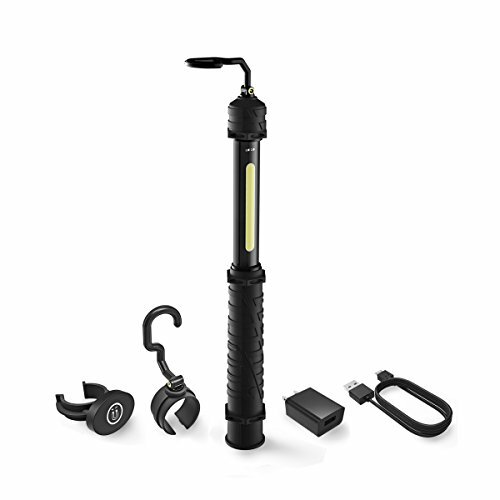 The STANLEY SAT3S also features a magnetic base that mounts to metal surfaces and a stow away hook, allowing hands-free use where it is needed; includes a limited 1 year manufacturer warranty. 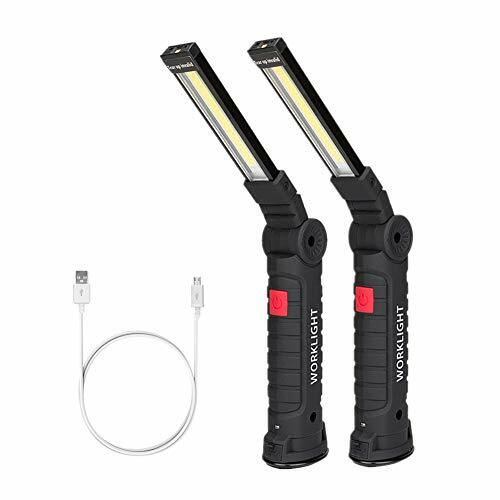 For indoor and outdoor use with charger included. 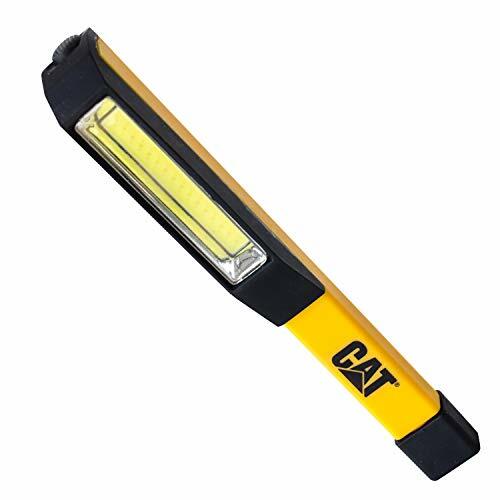 Rechargeable work light (cat-ct3515). 1100 high / 550 low. For More Information or to Buy: http://www.qvc.com/.product.A239694.html?cm_ven=YT&cm_cat=AU&cm_pla=CAROLYNGRACIE_20150309_zGj6RbDCS2E&cm_ite=BTY_PRODUCTDETAIL_A239694 1-800-455-8838, item# A239694 This previously recorded video may not represent current pricing and availability.